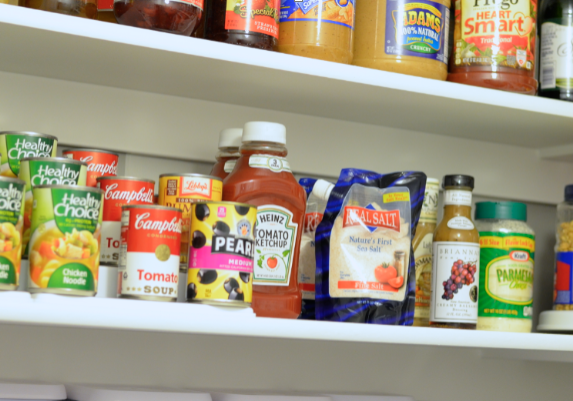 One of the very first projects I did when I moved in my new house was wallpaper my pantry, priorities, priorities my friends. 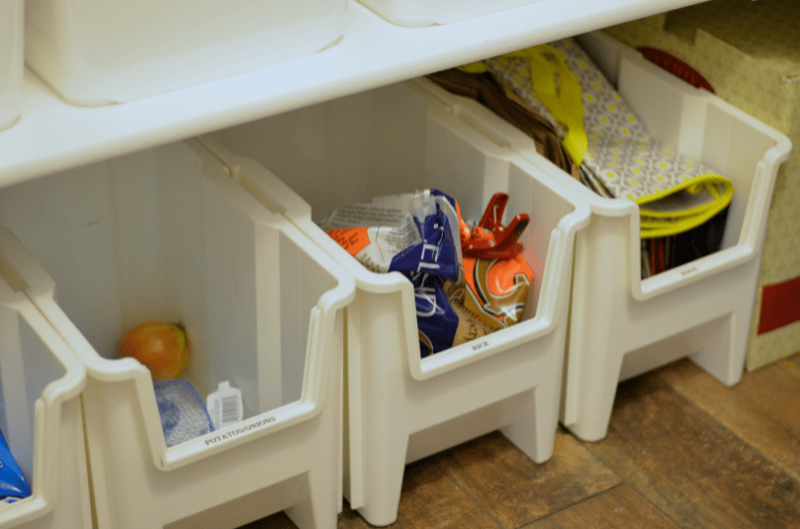 Then I hit up IKEA, Bed Bath & Beyond and Target, bought tons of containers, clear shoe boxes, OXO containers and lazy Susan’s (these are the tools to make systems.) 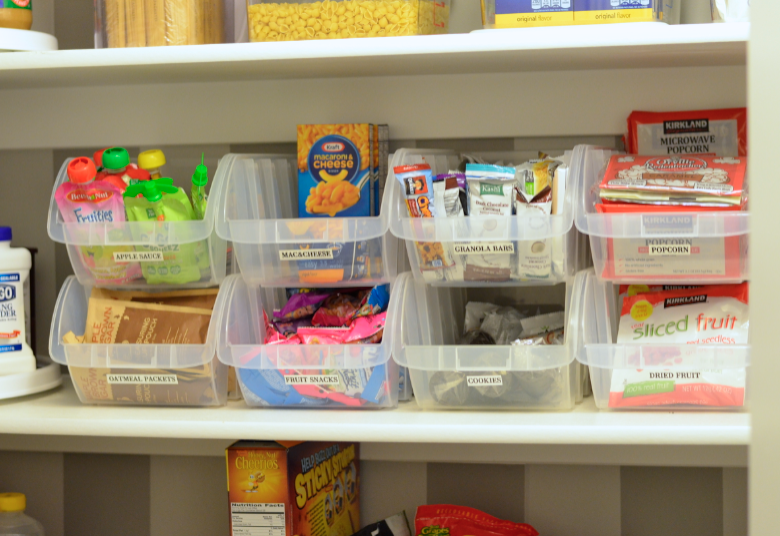 I then used my trusty little label maker to make sense of it all as well as help family members know how to operate the newly organized pantry. 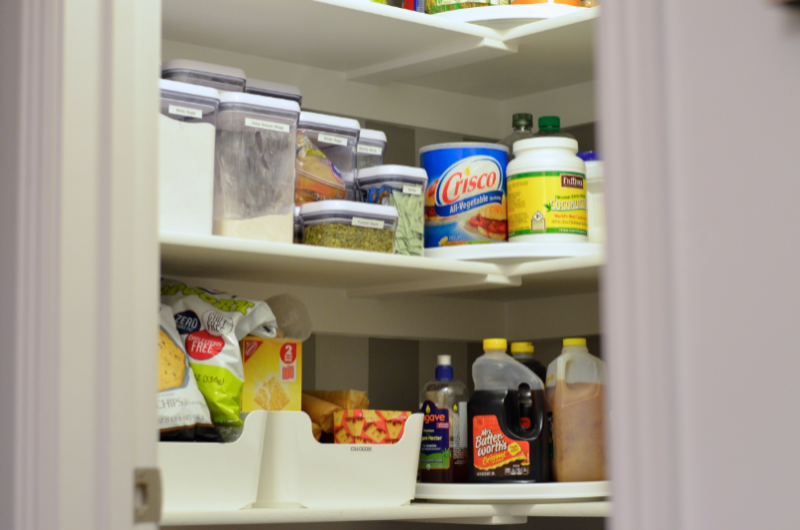 Here is the right side of my pantry from top to bottom. 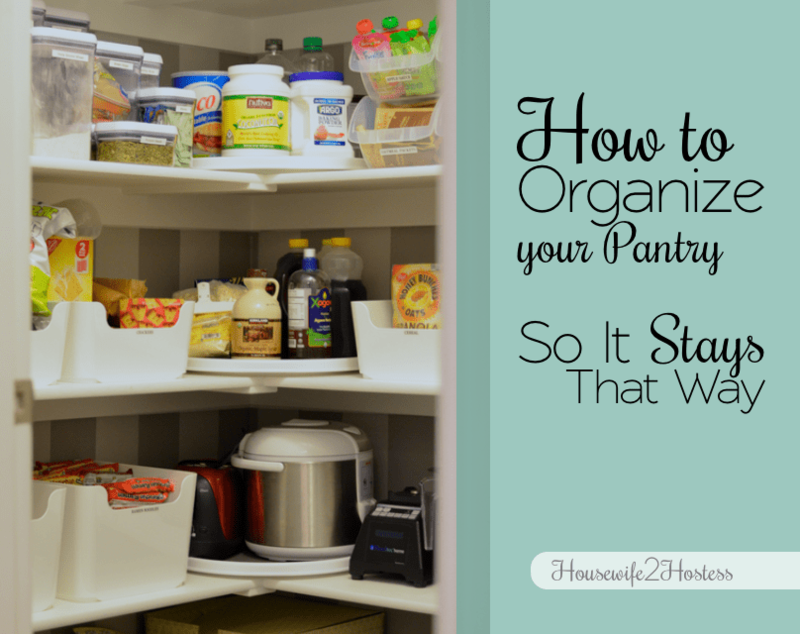 My biggest tips for organizing the pantry would be two fold: 1. 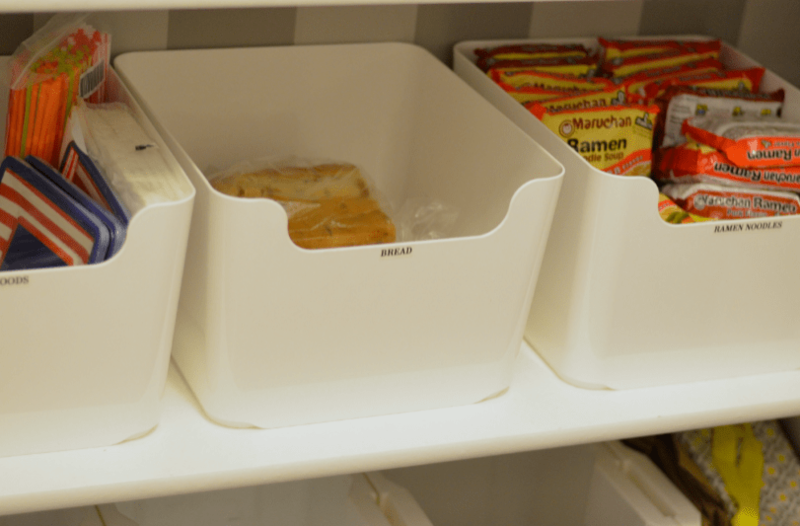 Create systems that make it easy to put the food in, and easy to take it out. 2. 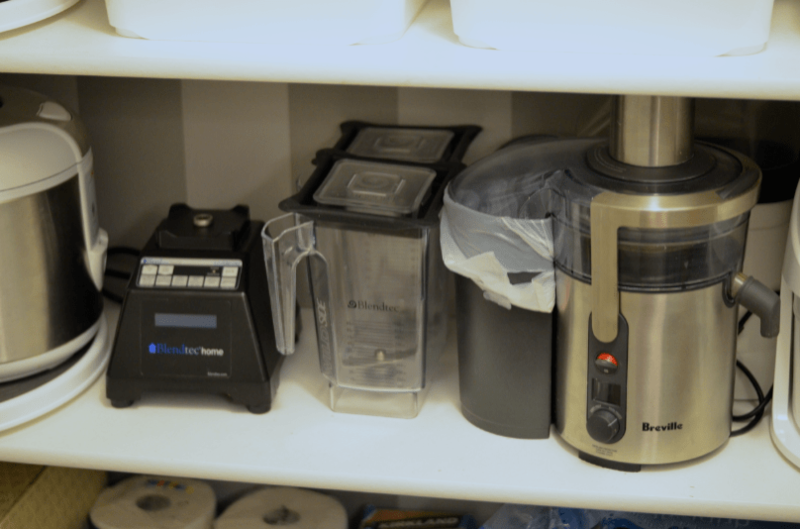 Take ten minutes to put items away once you bring them into the home. 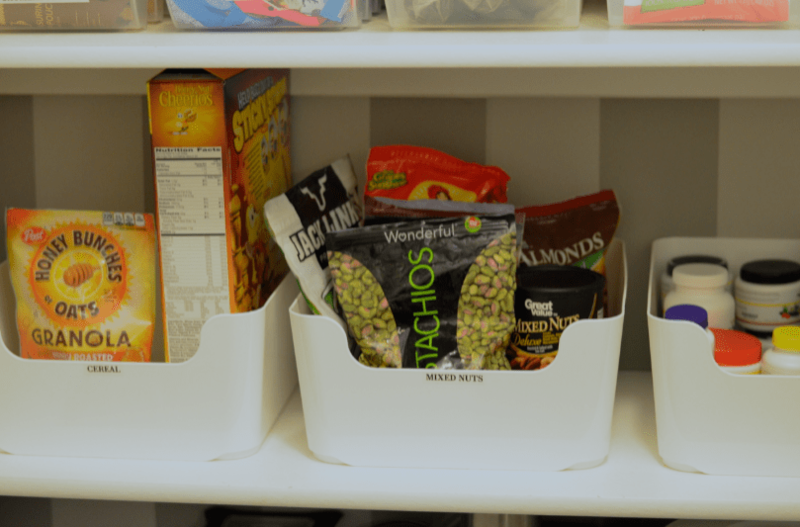 I feel like a pantry can be a really overwhelming space for a lot of people to organize because sometimes people don’t invest in tools to create good systems to keep it that way, i.e. 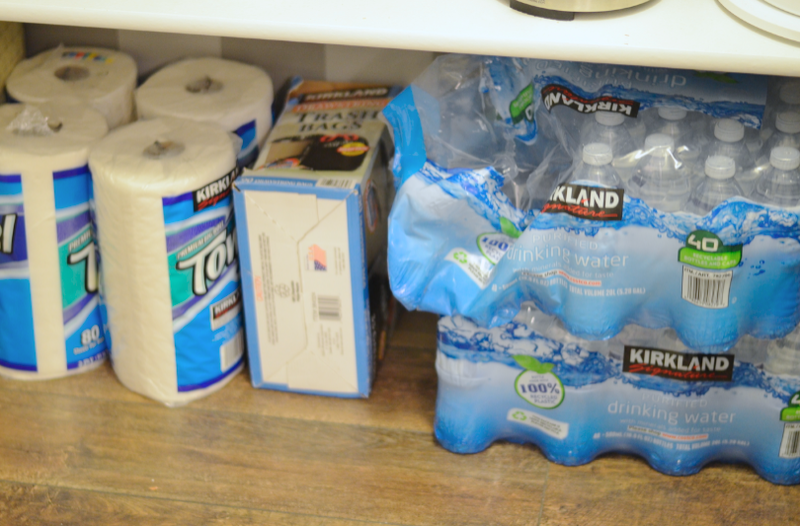 when you do a big Costco haul and it ends up pilled in the pantry instead of opened up and put neatly away. 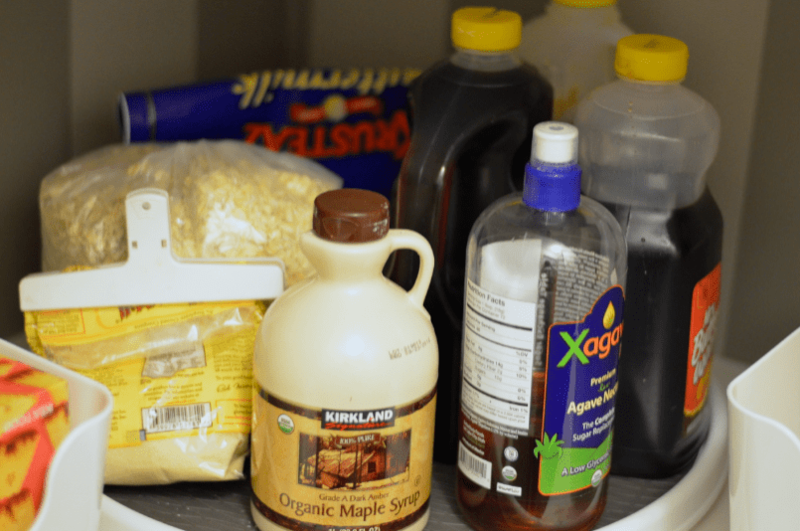 Another thing to consider about my pantry, I don’t have my storage room in the basement available yet. Because we’re finishing our basement all of the stuff that would’ve gone down there is upstairs or in the garage (speaking of which, the garage will be the biggest transformation ever!) So as soon as our basement is finished there will be a little bit more room on the top two shelves where I can store things. And now for the left half. 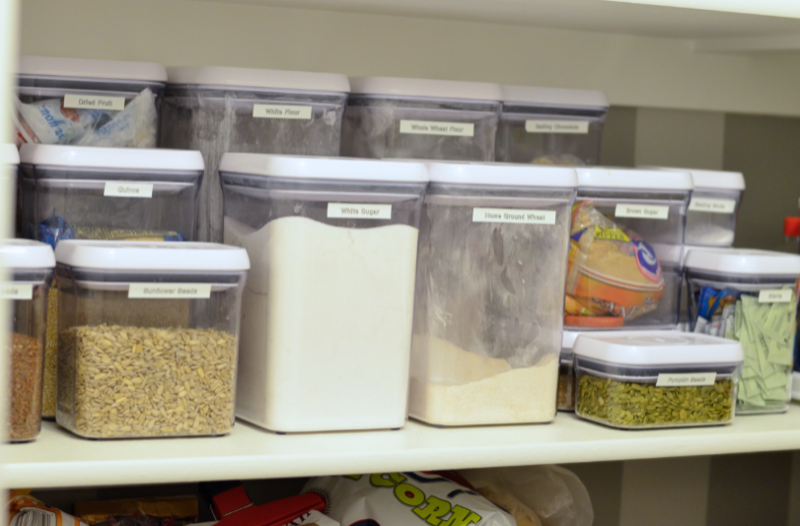 What systems and tools do you use to organize your pantry? I just discovered your blog through Pinterest. Love it!! !